A few months ago, Twitter’s co-founder, Jack Dorsey (@jack) announced Square, a mobile payment system. Although initially marketed for the iPhone and Android device, their first release was for the Apple iPad. 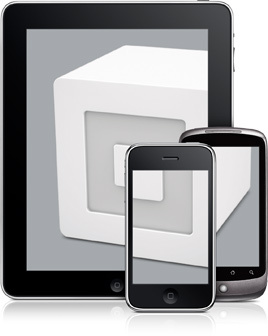 After some delay, Square finally released their iPhone (iTunes Link) and Android App. While the iPad version tries to imitate a virtual cash register, the mobile versions enable credit card transactions anywhere with a network connection. Getting started is easy. The App downloads quickly from either the Android Marketplace or the App Store. First time users will need to create an account through the mobile phone interface. Once registered, Square’s website offers a link to request the free magnetic card reader accessory. Square will also need to verify each customer’s credit score before allowing transactions through the respective accounts. This unfortunately requires divulging some private information such as your social security number, address, and phone number, but it’s expected. Although I’m speculating, it also seems that card readers are associated with a specific account since it requires activating the device. This means units may not work if shared with friends or other users. Fortunately, Square doesn’t charge for the hardware. Using the device seems quite easy, just plug-in the reader into the headphone jack, open up the application, and swipe a card. 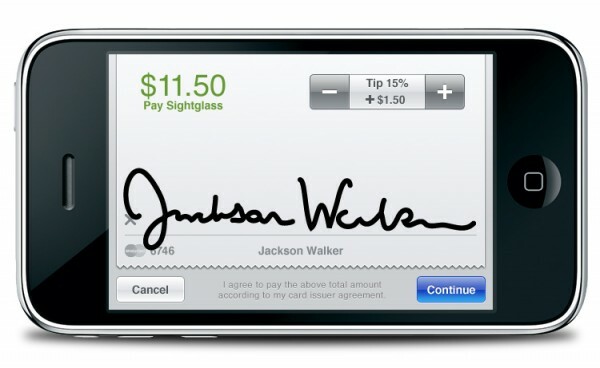 The person paying signs directly on your phone’s touch screen. Square even delivers digital receipt that include a customer’s photo, the product photo, and a geotagged location. For the most part, the entire service appears to have plenty of potential. Square has been widely recognized by the tech community and stands out since it doesn’t require heavy monthly fees or charge for hardware. Instead of using a proprietary network, the entire service runs on a mobile phone’s standard cellular data plan. 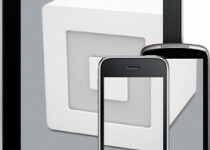 Square also charges standard transaction rates of 2.75% plus 15 cents per transaction. Rates are slightly higher if the credit card number is keyed-in without the hardware component. I believe that Square will come in handy quite often, especially people who sell products on Craigslist or even just settling debts with friends. It may even be a great way to split bills at dinner if restaurants don’t accept split checks. We’re getting in our units fairly soon, so stay subscribed to read our full review.